Switch weapons and control this cyborg to kill all creatures before leaving the level. 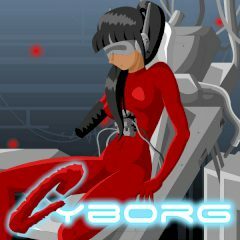 Have you ever wanted to be agile and dangerous cyborg, that deal with enemies rapidly? Have fun shooting creatures and dodging their attacks.